ACP - Automatic Colt Pistol. Colt's proprietary designation for a type of rimless cartridge design for reliable feeding from the magazine of a semi-automatic handgun. 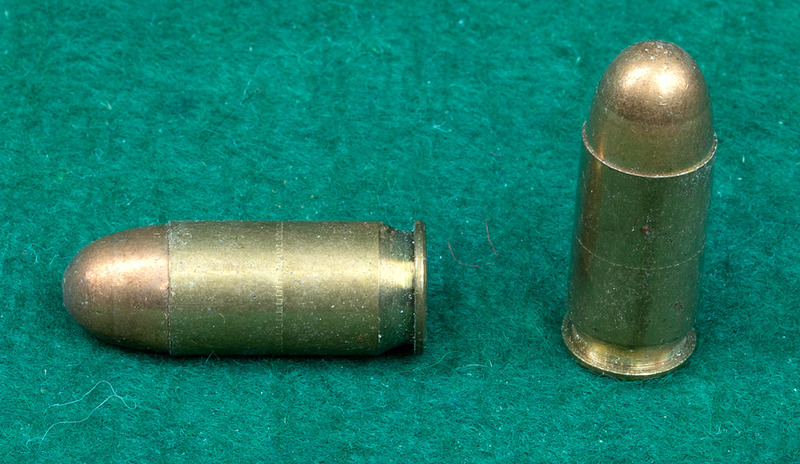 Example: .45 ACP, above.